Carousell, one of the world’s largest and fastest growing classifieds marketplaces, will be organising a preloved item donation drive for selected charities across its seven markets, with Ti-Ratana Welfare Society chosen for Malaysia. “Our community is an integral part of Carousell. We understand the important role community members can play in contributing and giving back to the society. #PrelovedwithLove is a movement to inspire Malaysians to champion this cause of giving back to the less fortunate. 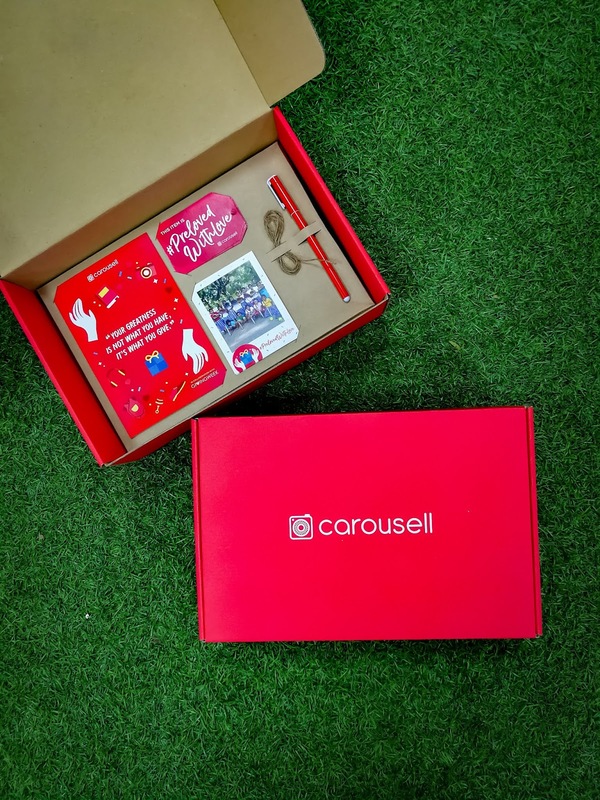 We also want to encourage Malaysians to donate their pre-loved items instead of just disposing them, Carousell is the classifieds marketplace to make it happen,” said Tang Siew Wai, Country Head of Carousell Malaysia. He adds that the objective of this drive is to highlight the needs of the home beyond the requirements of funds, as well as an excellent opportunity to declutter unused items as well as bringing the Carousell community together for a good cause. Alongside personalities such as supermodel Amber Chia, comedian Kavin Jay and singer Bihzhu, the Star Wars Malaysia Fan Club, and the KL Book Appreciation Club have also pledged to donate pre-loved items, toys, LEGO bricks and many more to Ti-Ratana Welfare Society. In addition, they will be visiting the home for a fun-filled day with games and cosplay activities as well as presenting their donated items. Ti-Ratana Welfare Society, a community service society was set up in the spirit of compassion to both serve and provide shelter, education and care to the underprivileged members of the community. It is also a voluntary, not-for-profit, non-partisan and non-denominational organisation offering a wide scope of community services. Members of the public who are interested in participating in the campaign can list their items on Carousell with the hashtag #PrelovedwithLove tagged with an RM0 price tag. Members of the Ti-Ratana Welfare Society will select the items needed from the listings. For more information and to participate in the campaign, visit https://my.carousell.com or download the Carousell app on Apple Store or Google Play Store. Carousell is a classifieds marketplace that makes selling as easy as taking a photo, buying as simple as chatting. Launched in August 2012, Carousell began in Singapore and now has a presence in seven markets across Asia. With over 171 million listings, we are one of the world’s largest and fastest growing marketplaces in Southeast Asia, Taiwan and Hong Kong, and is backed by Rakuten Ventures, Sequoia India, 500 Startups, Golden Gate Ventures, DBS and EDBI. In Malaysia, Carousell has a diverse range of products in 34 categories, including fashion & beauty, lifestyle gadgets and muslimah fashion. Download the app for iOS or Android, and visit www.carousell.com for more information. Ti-Ratana Welfare Society is a charitable organisation registered on 9th February 1994 under the Registrar of Societies Act. It has a President and committee elected yearly by its members to oversee its operations, with Chief High Priest Most Ven. Datuk K. Sri Dhammaratana Nayake Maha Thera as its Founder and Advisor. Welcome to my site. If you'd like to help me out by donating. You have my gratitude! Eat Right & Live Right with HealthyMealsPH!